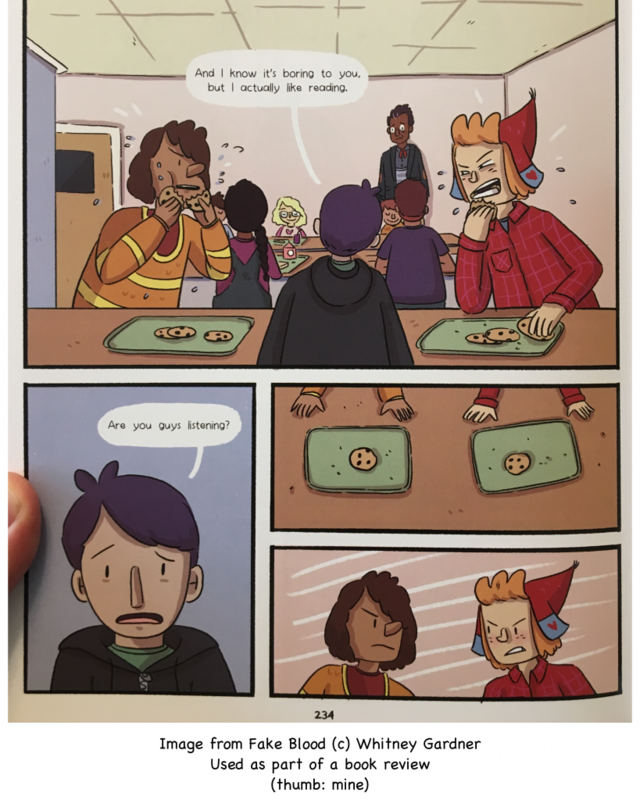 This new entry into the late grade school/tween graphic novel market stars AJ and his friends, who are just starting the 6th grade. AJ is the kind of kid librarians love: he boasts about the number of books he read over the summer and the summer reading prize he won (sunglasses). He likes Nia, the smartest girl at Spoons Middle School. She is obsessed with vampires. His sister BB offers AJ some classic advice (be yourself), but instead of taking it he “borrows” her copy of Moonlight (a thinly veiled stand-in for Twilight) and gives himself a vampire makeover complete with glitter and hair care products. 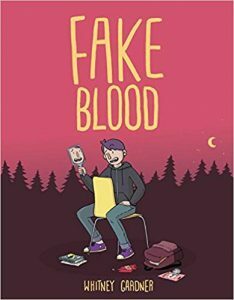 After AJ convinces Nia he’s a vampire, the story picks up a bit of speed, and it’s clear that there’s a real (and not very threatening) vampire at school, too.